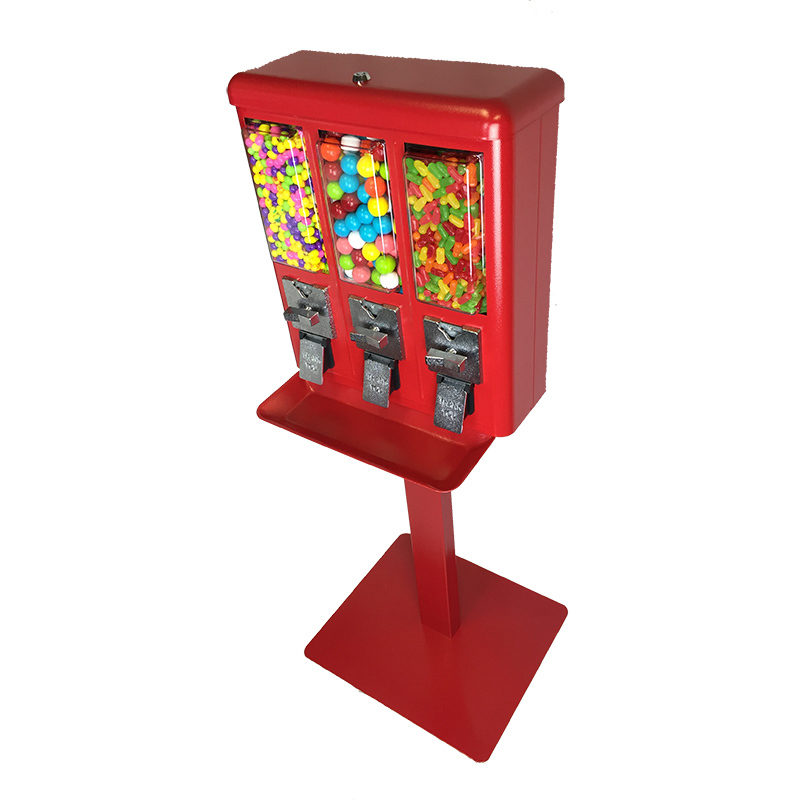 Our 3 compartment bulk vending machine is one of our top sellers. Each canister is factory pre-set to vend Bulk Candy. However, you have the option to choose a gumball wheel for the center. The compact design lets you offer three different product selections in one small space and is convenient to service. Vends approx. 12 lbs of candy in each canister. Its ok. It is a little flimsy and paint isn't the best but its fine. mine didn't come with the coin trays. The tray looks bent down from the side. I haven't put this thing to work yet cause I literally just got it. Hope it works well in use. Very solid machine. Looks good. The machine is fine as far as candy, but be warned, despite the website graphics and mention of being a "triple canister gumball machine" in the title, this machine does not come with the required "rocket wheel" for vending gumballs, jawbreakers, or 1" toy capsules. 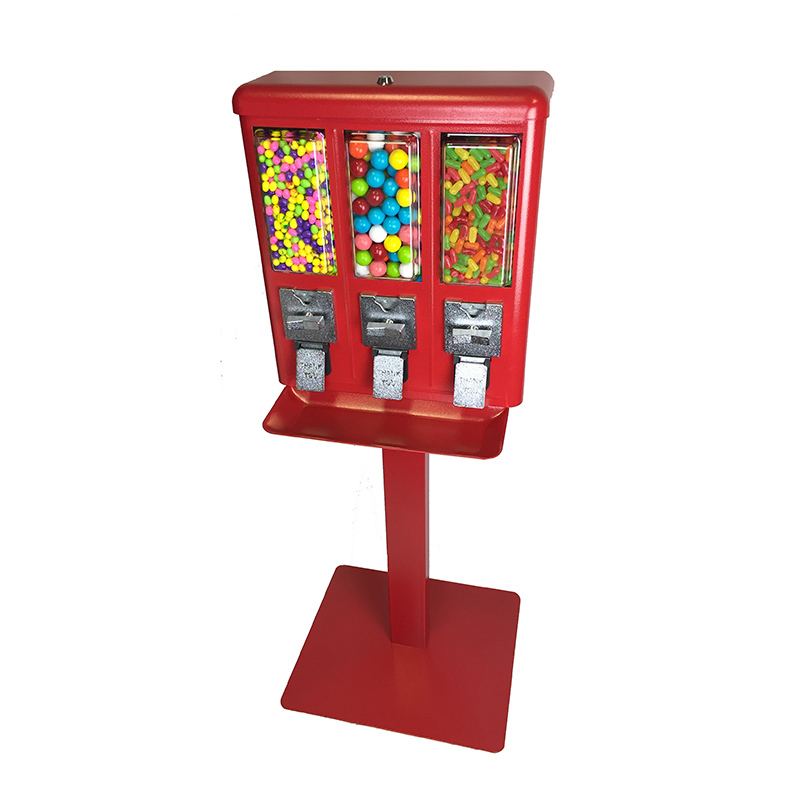 You have to order it separate and it is a special order (which candymachines doesn't even have on hand) that can cost as much as $30 just to get what is needed to vend gumballs. The website photo of the machine full of balls is misleading in this way.